Pomeranian Voivodeship, Pomorskie Region, or Pomerania Province (in Polish województwo pomorskie [vɔjɛˈvut͡stfɔ pɔˈmɔrskʲɛ], in Kashubian Pòmòrsczé wòjewództwò), is a voivodeship, or province, in north-central Poland. 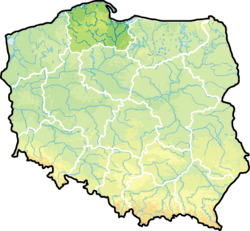 It comprises most of Pomerelia (the easternmost part of historical Pomerania), as well as an area east of the Vistula River. The western part of the province, around Słupsk, belonged historically to Farther Pomerania, while Pomerelia and the eastern bank of the Vistula belonged to the historical region of Prussia. The central parts of the province are also known as Kashubia, named after the Kashubian minority. 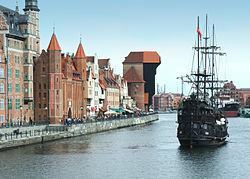 The provincial capital is Gdańsk. 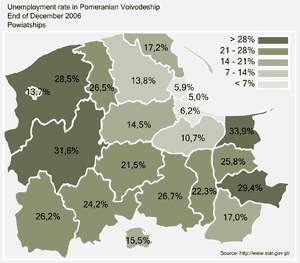 The voivodeship was established on January 1, 1999, out of the former voivodeships of Gdańsk, Elbląg and Słupsk, pursuant to the Polish local government reforms adopted in 1998. It is bordered by West Pomeranian Voivodeship to the west, Greater Poland and Kuyavian-Pomeranian Voivodeships to the south, Warmian-Masurian Voivodeship to the east, and the Baltic Sea to the north. 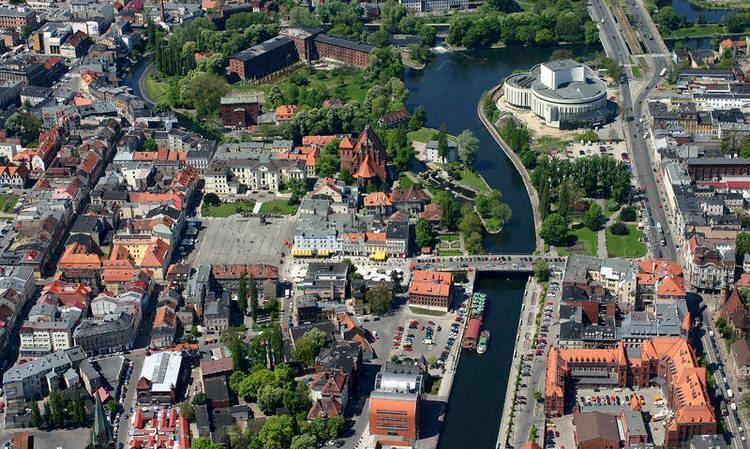 It also shares a short land border with Russia (Kaliningrad Oblast), on the Vistula Spit.